The following contains spoilers for several major moments and the ending to Marvel's Spider-Man on PlayStation 4. It also contains spoilers to the Spider-Geddon #0 comic, which released last Wednesday and references the aftermath of the Marvel's Spider-Man ending. If you have not reached the end of the game or read the comic, you are advised to turn back now. It's been almost a month since Marvel's Spider-Man released on PlayStation 4. In addition to being one of the best games of 2018 so far, it also contains one of the most memorable storylines featured in a comic book-based game. It was more than a great Spider-Man story. It was an incredible Peter Parker story. But while Marvel's Spider-Man offers a fantastic story, it's just one chapter in what looks to be a much bigger saga. 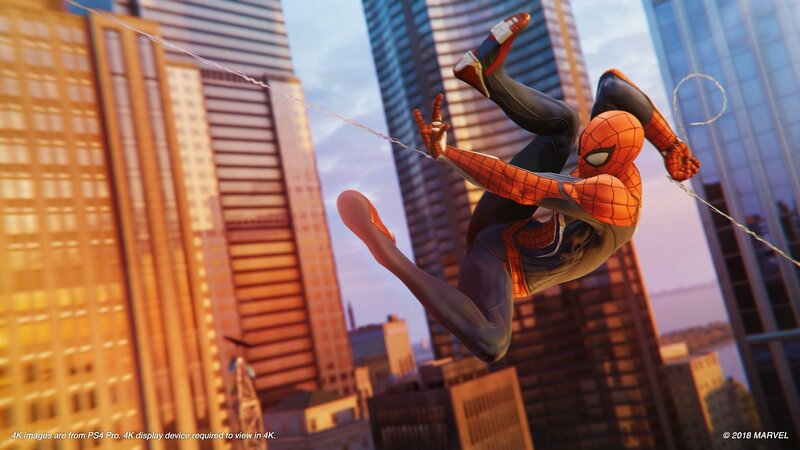 While there are still elements of the world that Insomniac will explore in upcoming DLC chapters, like October's Heist DLC, there are still many directions that the developer and storywriter Christos Gage can take this story. Today, Shacknews is breaking down what could potentially be next for everyone's favorite wall-crawler, his allies, and his enemies. What's next for Norman Osborn? Mayor Norman Osborn was unable to protect New York. Under his watch, Mister Negative killed dozens of people by bombing City Hall, the Sinister Six took over the city, and Sable International instituted martial law. And then there's Devil's Breath, meant to be a medical miracle and instead turned into a plague that claimed many lives after Otto Octavius unleashed it on the populace. Following reports by Mary Jane Watson regarding Osborn's involvement in Devil's Breath, his political career was doomed. His re-election campaign would presumably be a bust, but the very first page of the Spider-Geddon #0 comic revealed the Osborn tendered his resignation as mayor shortly after the game's ending. So what happens now for Norman Osborn? The game's final hours revealed the story's biggest twist: That Harry Osborn's Europe trip was all a cover and that, in fact, he was dying from the same disease that killed his mother. 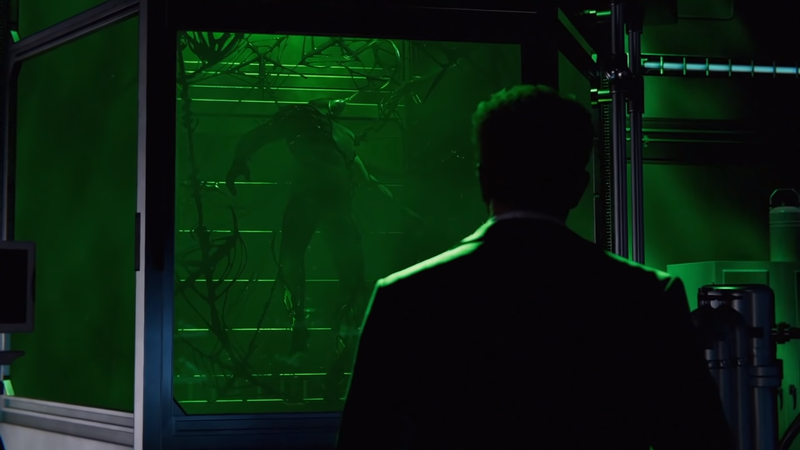 Norman Osborn's next step is undoubtedly following up on the major post-credits stinger that showed that Harry was being held submerged in a medical tank within his penthouse laboratory. Harry looked to be alive, but barely. But what's interesting is what's keeping him alive. 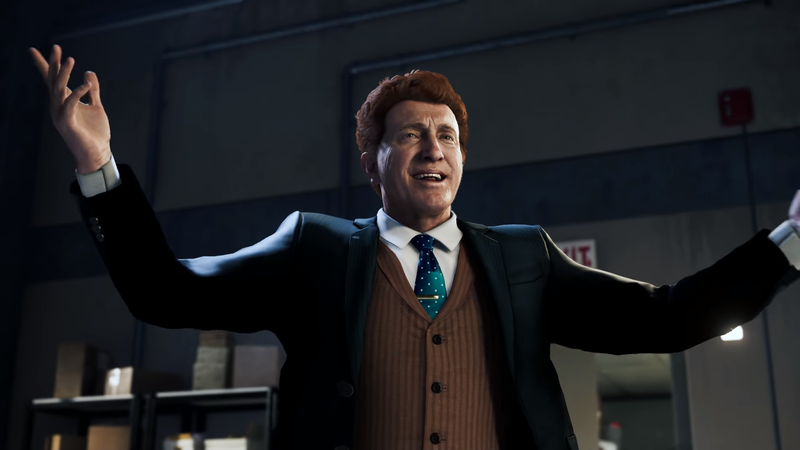 While MJ found that Osborn was experimenting with spiders earlier in the game, Norman also looks to be experimenting with symbiotes and it looks like this will lead to this universe's version of Venom. Meanwhile, Norman himself will likely continue dealing with the fallout from the first game. MJ's report on Norman's role in Devil's Breath could lead to charges being filed against the former mayor. 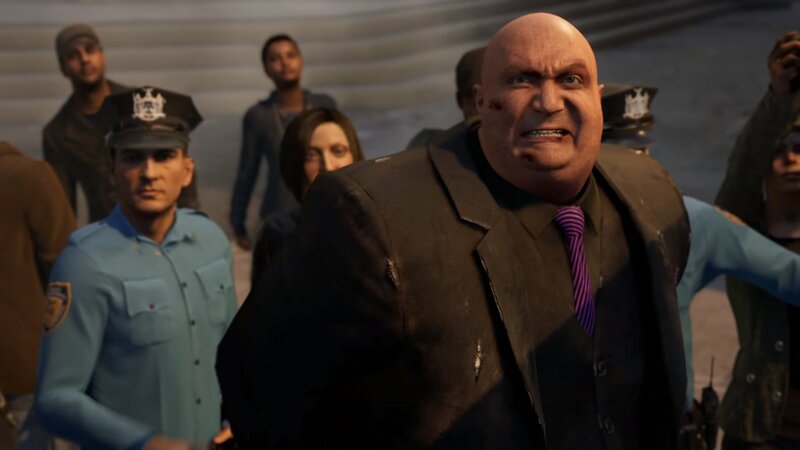 The next Spider-Man game could very open similarly to the first one, with Norman in the place of Wilson Fisk. If this happens, don't look for Norman to go quietly. On top of having Sable International still in his employ, Osborn has a lot of tech at his disposal, including that mask that MJ found in his penthouse that looks strikingly similar to a Goblin mask. What role does Miles Morales play in the next story? Part of what helped Marvel's Spider-Man such an effective story was that it fast-forwarded through much of Peter's life. He wasn't a high school kid trying to balance school and superhero duty. He was a veteran Spider-Man, with an established rogues gallery and an established history. It was easy to jump right into Peter's story and fill in any blanks that might have popped up. Miles Morales presents a different challenge. His story is just beginning. The only knowns about him are that he's the son of a hero cop and he's now in charge of F.E.A.S.T. in the wake of May Parker's death. So what happens with him going forward? There's a good chance that a major element of the Marvel's Spider-Man sequel puts Peter in even more of a mentor role. But while the first game had Peter mentoring Miles as a positive civilian role model, the sequel will see Peter bringing Miles along and teaching him the finer points of superhero work. 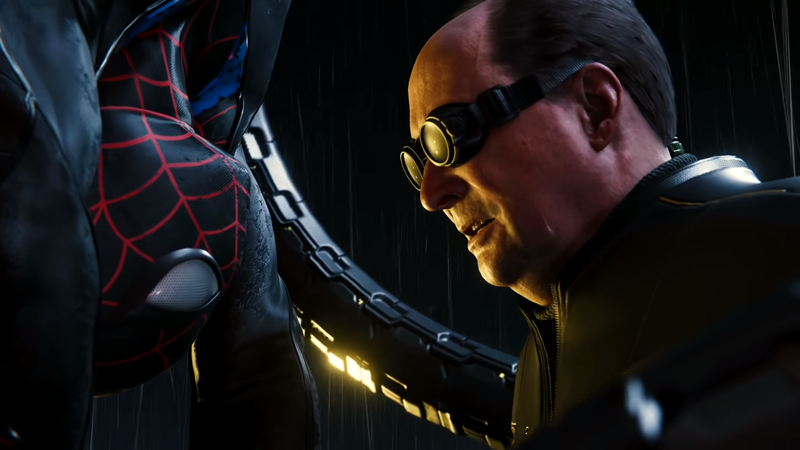 There's a good chance that this next game will see players switching back and forth between Peter and Miles, both with their own distinct stories and, more interestingly, each with their own distinct set of abilities. 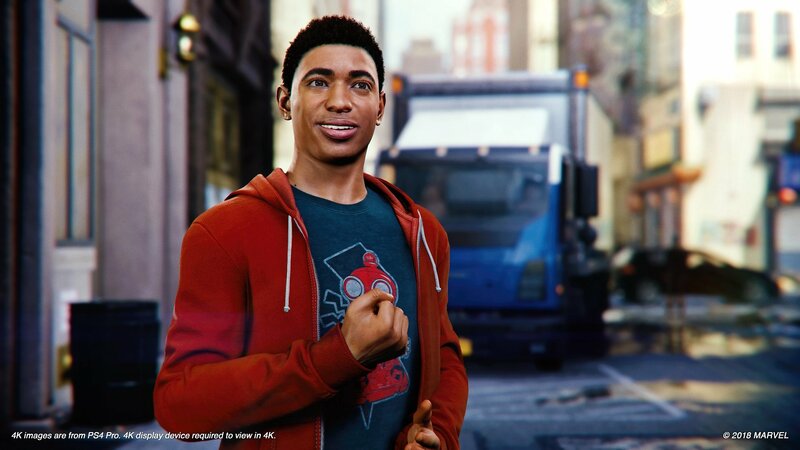 While Peter has his set spider abilities, a playable Miles will discover his new abilities alongside the player. A far bolder move would be to write Peter out early on in the sequel's narrative, putting him out of commission in some fashion, and having Miles as the main playable character for the entirety of the sequel. Given the story beats that have been set up, that's not very likely, but if Peter is physically incapacitated, maybe he'll be in a better position to teach Miles what it means to be a Spider-Man. Is Wilson Fisk's criminal empire still up for grabs? The early minutes of Marvel's Spider-Man still continue to echo, all the way through to the story's closing minutes. Wilson Fisk led a vast criminal syndicate, but one that ultimately answered to him. Fisk, in his own twisted fashion, maintained a sense of order throughout the criminal underworld. The first sign of anarchy popped up when thugs started running rampant throughout New York, striking randomly and without any semblance of organization. Then Martin Li and the Demons emerged, wreaking havoc across the entire city, racking up casualties in their wake. There was a sense of lawlessness that was in the air, a different type of danger than what Wilson Fisk presented. With Fisk still imprisoned, there's still big piece of the criminal pie that's up in the air. A power vacuum is still in play and nature abhors a vacuum. There's a good chance that someone will look to fill Fisk's void as the leader of the criminal underworld. One prime candidate is the Black Cat, who is currently the leading crime boss of the 616 Marvel Universe. Whether she plays that same role here could depend on what happens with the Heist DLC later in October. If it's not Felicia Hardy, there's no shortage of criminal mob bosses in Spider-Man's world or in the Marvel Universe as a whole. Fisk's continued imprisonment could open the door for someone like Hammerhead, Silvermane, or even The Hood to slide right in and seize the criminal underworld under their boot. Is Doctor Octopus on the verge of escaping The Raft? Otto Octavius' body is failing him. It's a major reason that his research steered him towards his mechanical arms and the neural interface that controlled them. Octavius didn't fear prison as much as he feared losing his arms and being forced into his feeble body. As the story ended, he was last seen being thrown into his cell in the Raft, broken and barely able to stand. Here's where we touch on the most interesting element of the Spider-Geddon comic, where it's important to keep in mind that the comic was written by Marvel's Spider-Man story writer Christos Gage. Spider-Geddon centered on the Spider-Man the PlayStation 4 game (designated Earth-1048) being visited by the Superior Spider-Man of the main Earth-616 Marvel Universe, who is out recruiting Spider-Men for a major comic crossover event. The Superior Spider-Man is Otto Octavius, given a second lease on life after taking over Peter Parker's body, but being left Peter's sense of heroism. While Peter has retaken his own body and mantle, Octavius was later brought back as a clone in the Clone Conspiracy event and transferred his mind into a "perfect clone" of Peter Parker. Octavius is now based out of San Francisco and retaking the mantle of the Superior Spider-Man. Still with me? Comics can get a little weird. So what does all of that setup have to do with the Spider-Man of the PlayStation 4 universe? Before departing for the main Marvel universe, the Superior Spider-Man requests to see his Earth-1048 counterpart. Peter takes him to the Raft, but no further. Instead, Peter shows a heads-up display of Octavius' cell, where his condition continues to deteriorate. The two leave, but not without the reader seeing that the Superior Spider-Man left behind a Spider-Bot. 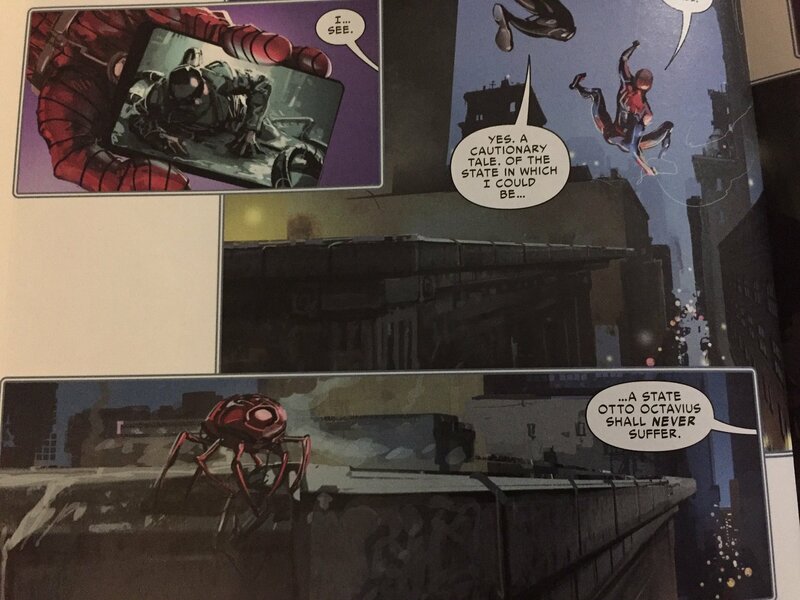 In the main Marvel Universe, Octavius uses Spider-Bots as part of his regular arsenal. Earlier in the story, he referenced using them for neural interfaces. Here, the Spider-Bot is seen heading towards the Raft. Does this mean Otto Octavius will see the light of day again? Has the 616 Otto seen to it that his doppelganger will escape the confines of his prison? And if so, why did he do this? Did he deploy the Spider-Bot in hopes of repairing the extensive damage to this Otto's neural system? If so, is he too far beyond repair? Is this Otto just the man he is now? It'll be interesting to see what happens here, because it could be a long time before the fallout of this panel is explained. Answers could come for the sequel, but could potentially come long after. Either way, players have not seen the last of the Earth-1048 Otto Octavius. This is just a few potential plot continuations that await in the future of the Marvel's Spider-Man series. What's next for your friendly neighborhood Spider-Man? Join the conversation and take your best guess in the comments.